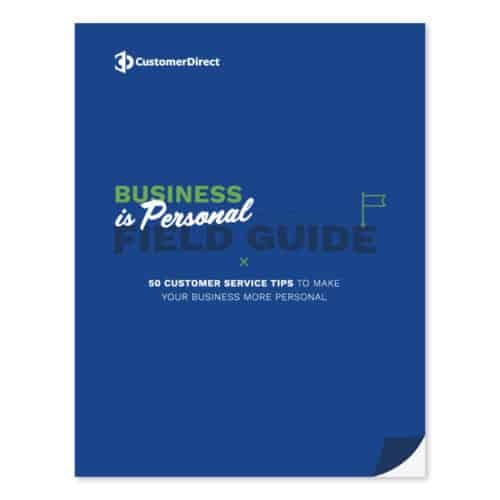 At Customer Direct, we understand that every interaction has an impact on the way customers perceive your brand. A single customer interaction can mean the difference between a one-time customer and lifelong brand advocate. We work with you to provide the best customer care. Our expert agents work hard to learn and understand your brand’s unique voice and its offerings. This ensures we deliver genuine brand experiences with the same passion and expertise as your own team. Our omnichannel platform includes voice, email, chat, text, and social media. No matter what channel your customers choose, they are connected to the best qualified agent in a single intelligent and unified queue. This allows our staff of expert agents to provide the highest level of customer care, while delivering consistent and accurate information with the utmost efficiency. Supporting customers across a wide variety of industries with programs tailored to your business needs. Providing central reservations for hotels, resorts, and vacation rental properties. Advances in tech often add another level of complexity. Our support ensures people can get back to enjoying the benefits of innovation. Our extensive sales training allows us to become the experts in your products and services. From capturing contact information to converting the sale, our team helps you drive revenue. Focus on delivering a great product or service. Let our team manage the day-to-day needs of your subscribers or members. Gain customer insights with custom phone surveys. Increase your productivity by letting our team schedule your customers’ appointments and events. The perception of your brand is impacted by your guests’ experiences. Let’s turn those guests into brand advocates today. Start a new program, and we’ll support it with new member enrollment, membership rewards, and member support. Our customer care specialists have the skills to tailor our sales process around your unique marketing program. Don’t get bogged down by backorders and returns. Let us handle them so you can focus on growing your business. By capturing detailed information about every Chat user’s unique interaction, Customer Direct was able to easily identify key guest issues and interests, providing insight on how to better serve their needs. We strive to cultivate a culture of kindness and curiosity, providing our agents with an environment where genuine customer service is just second nature. Our training and education platforms provide our agents with the kind of expert knowledge and genuine passion that helps build brand equity and brand advocates with every interaction.